The problem with online grocery shopping is that sometimes when you really want only a couple of red onions you get the quantity wrong and end up with a whole bag! So with a surplus of red onions I started thinking of ways I could use them up. 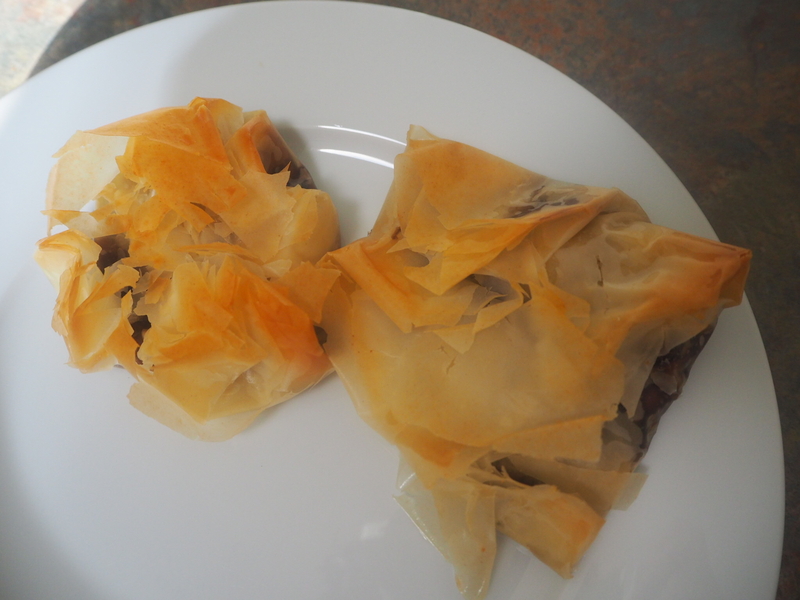 I saw a recipe for these filo parcels on the Good Housekeeping website and modified it slightly. The recipe calls for red onion marmalade to be used but I decided to caramelise the onions instead of using a marmalade. You can find the original recipe here. 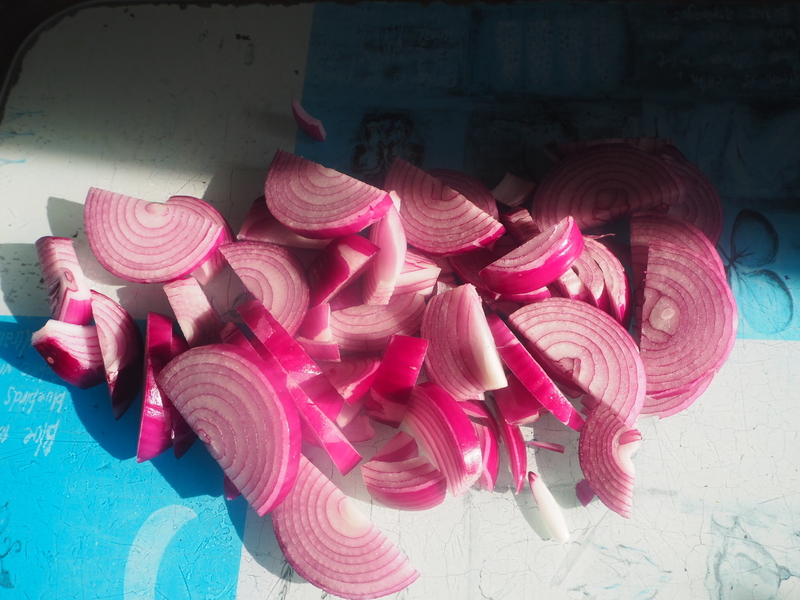 Preheat your oven to 180C and begin by slicing up your red onions. 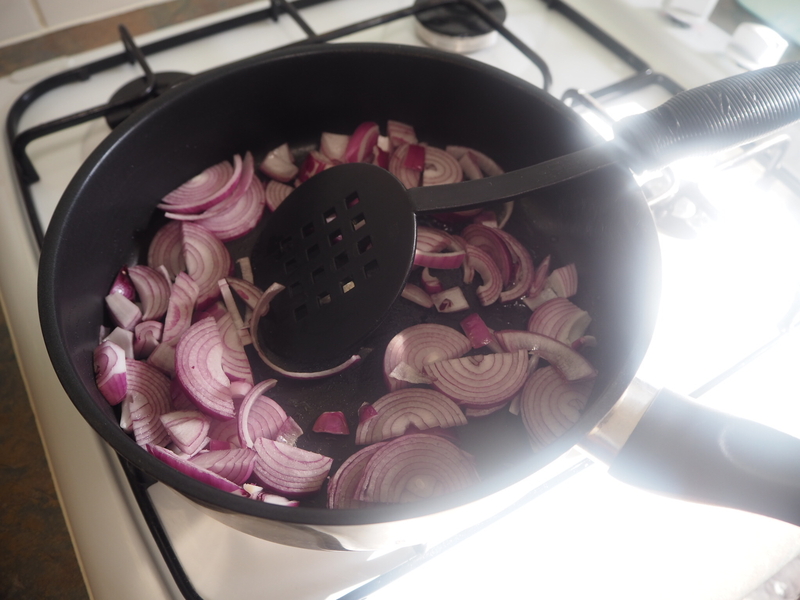 Put a splash of olive oil in a pan and cook your onions until they are golden and soft. 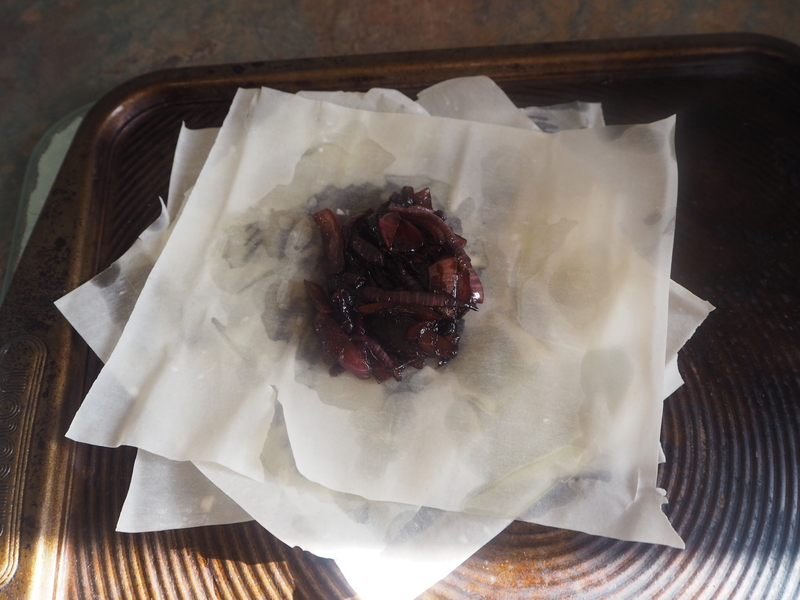 Add your sugar and balsamic vinegar and reduce to a low heat. 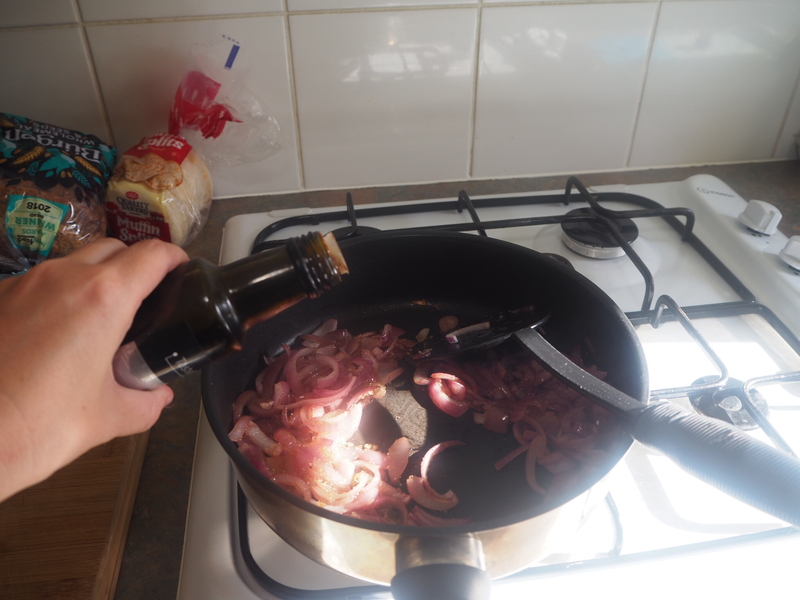 Cook until onions are sticky and caramelised. 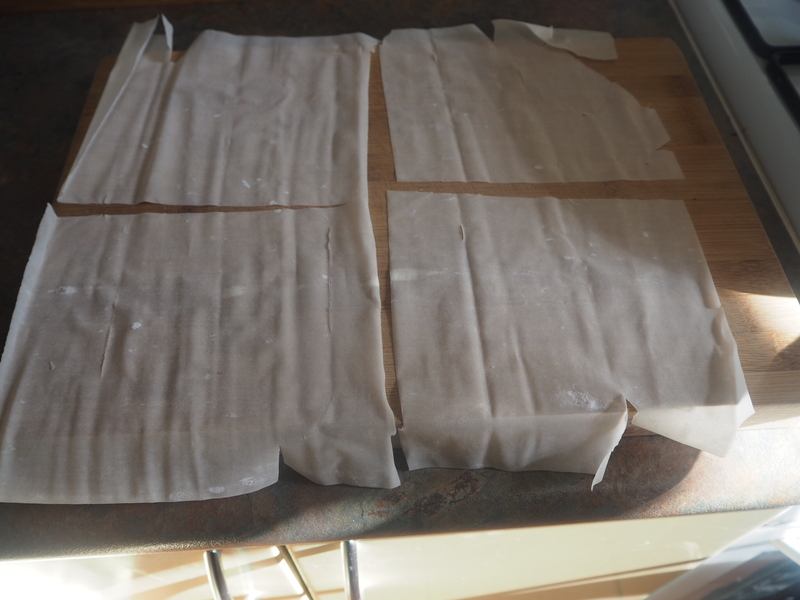 Set onions aside to cool and lay out your first sheet of filo pastry. 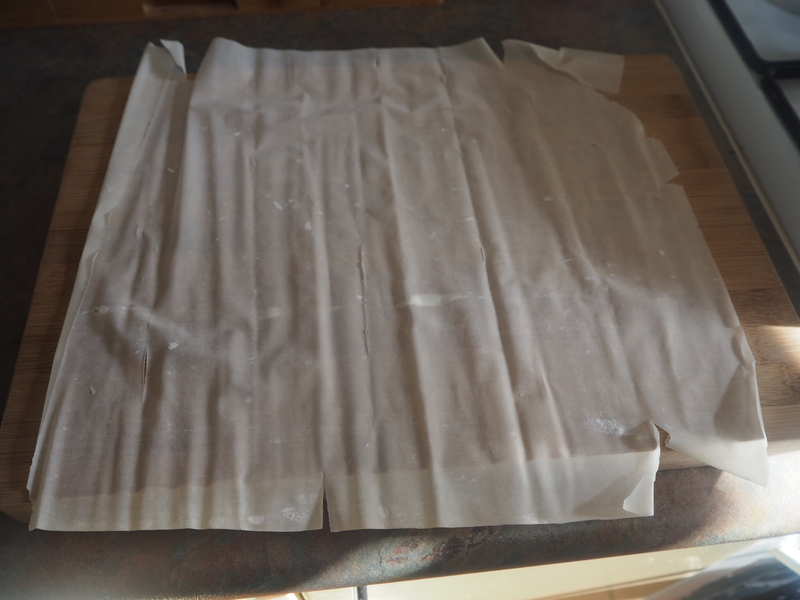 Slice this sheet into four pieces. 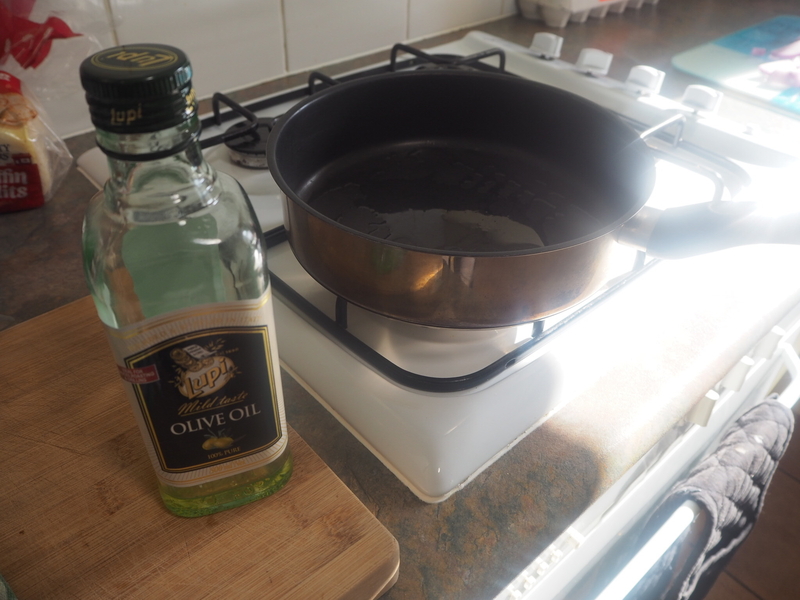 Brush each edge with some olive oil and stack oil side down one on top of the other on a baking tray. They are supposed to be a bit off centre so are not to be stacked in a straight line. 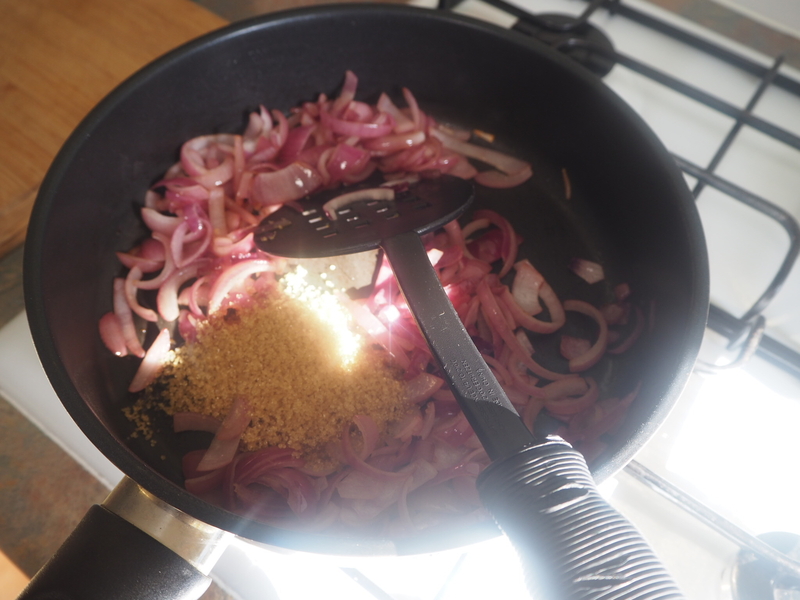 Place a spoonful of your caramelised onions into the centre of the parcel. On top of this place your goats cheese. 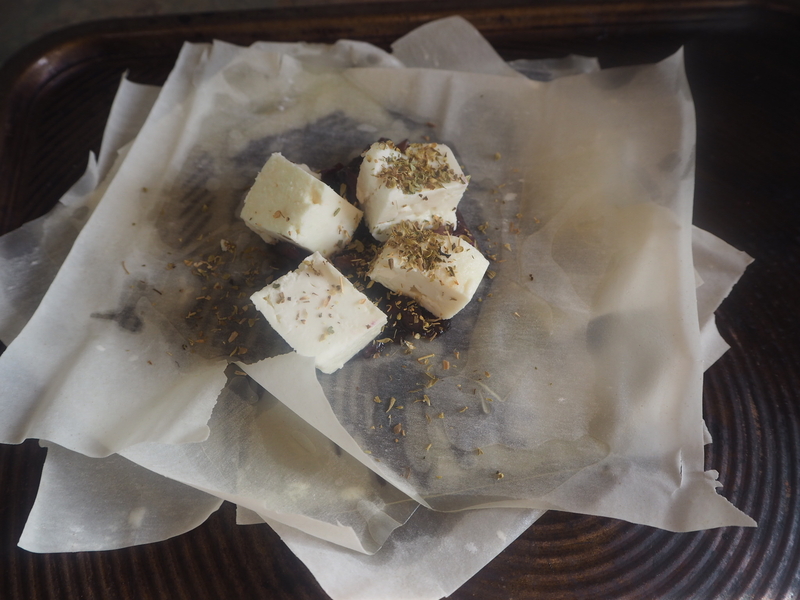 Sprinkle with fresh or dried thyme. I didn’t have any so I used oregano instead. Wrap your parcel up by joining the edges together. 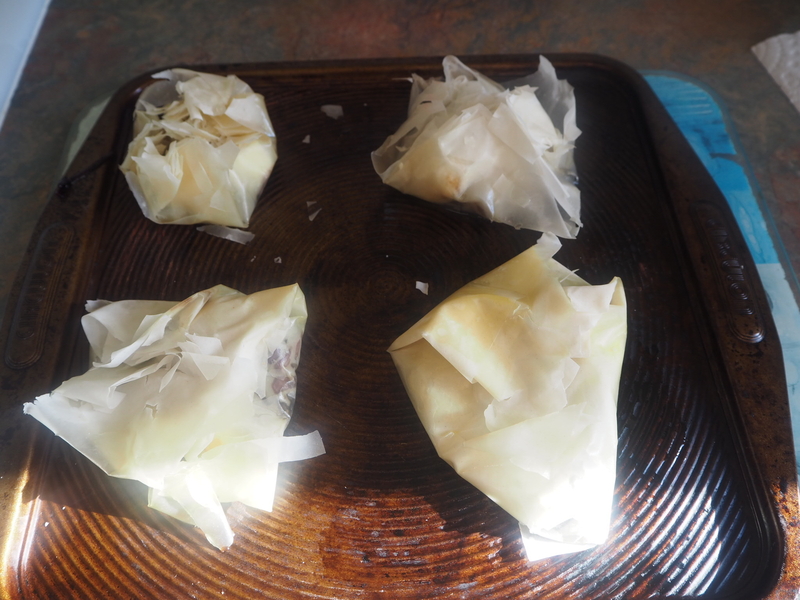 Pop into the oven for around 12-14 minutes until the filo pastry is crispy and golden. Dig in and enjoy! 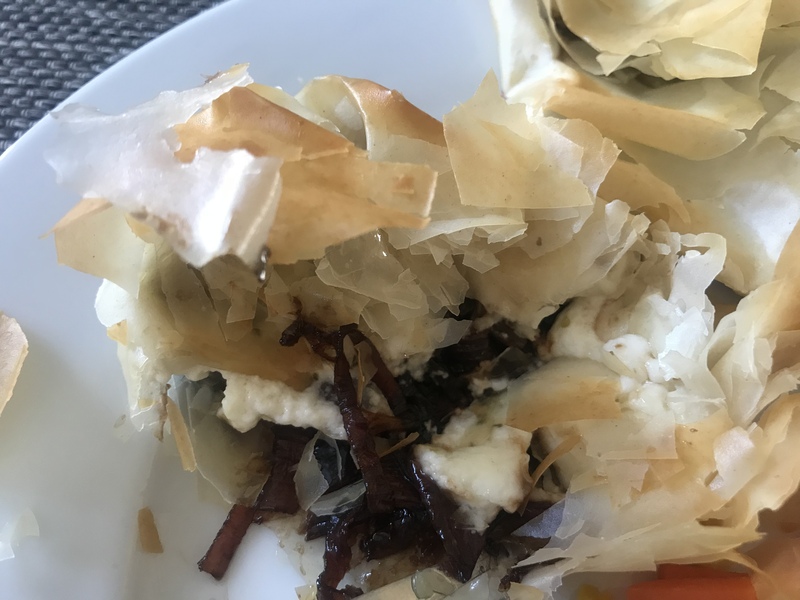 The filling should be filled with hot, gooey melting cheese. Serve with a green salad for a main dish or on their own as a starter. What do you think? Are these something you would try?